It has been described by patients as one of the most excruciating forms of pain known to man. Often referred to as the “suicide disease,” Trigeminal Neuralgia (TN) is a disorder of the trigeminal nerve that produces sudden, intense pain in areas of the face where nerves branch out to the nose, lips, ears, eyes, scalp, forehead, tongue, and upper and lower jaw. TN usually affects only one side of the face, with pain often increasing in severity and frequency over time. 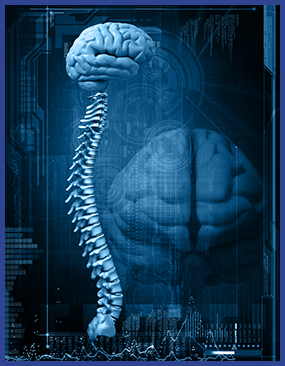 While this condition is still being researched, studies have discovered a connection between TN symptoms and misalignments of the upper cervical spine. Injury or trauma to the neck can result in irritation or damage to the trigeminal nerve, which originates in the brain stem/upper spinal cord. Symptoms may not always show up immediately after an injury, but may develop months or years afterward if a misalignment if left untreated. In a scientific study conducted by Dr. Roger Hinson and Dr. Susan Brown, TN patients received upper cervical care over the course of ten weeks. The study yielded impressive results as all participants reported significant pain relief within the first four weeks of care with continued gradual improvement over time. Research director Dr. Roger Hinson suggests that an upper cervical misalignment may contribute to a hyperactive state of the trigeminal nerve, thereby causing the severe facial pain associated with TN.